Back row: Enda Oates, Robert Barrett, Stephen Jones, Joe Hanley, Eoin O’Kelly, Anja Murray, Jullien Clancy. 3rd row from front (L-R): Neal Boyle, Gus McDonagh, Pauline Dunne, Declan McGrath, Kevin Reynolds, Dr. Luke Dillon, Raneem Saleh and Charleigh Bailey. 2nd row from front (L-R): Mary Brophy, Ann-Marie Power Genre Head, Arts and Culture, RTÉ, Donal O’Herlihy, John Morton, Kevin Brew, Caitríona Ní Mhurchú, David Mullen, Kathy Rose O’Brien, Claire Mullen, Nyree Yergainharsian. Front row (L-R): Dee Forbes, Director General, RTÉ, Jim Jennings, Director of Content, RTÉ, Gorretti Slavin and Louise Lewis. Picture: Kinlan Photography. RTÉ has once again won the Broadcaster of the Year award at the 2018 New York Festivals International Radio Awards. Selected from finalists spanning 32 countries, this is the fifth time RTÉ has won this radio award in recent years. In 2011, RTÉ radio services became the first Irish stations in the award ceremony’s 55 year history to be awarded the accolade of Broadcaster of the Year. The following year, in 2012, RTÉ brought home the top prize once again. 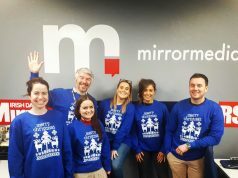 After only a two-year hiatus, RTÉ won it again in 2015 and then again in 2017. 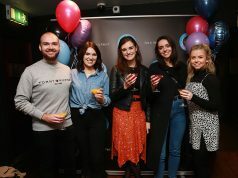 This year the National Broadcaster wowed the judges and has been selected as the overall winner of this major international award for the fifth time in six years. 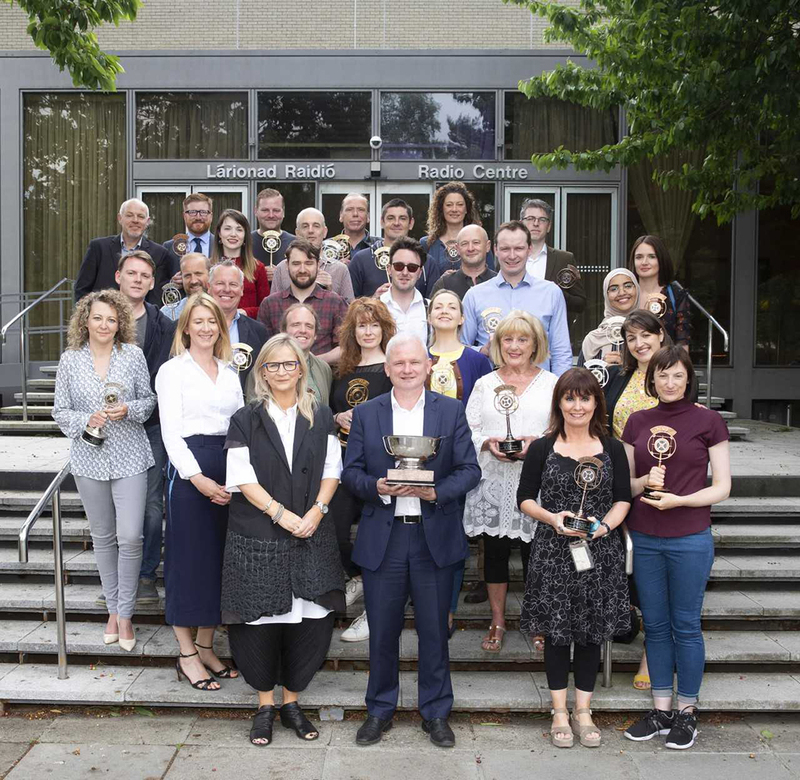 In addition to being named Broadcaster of the Year, RTÉ also received a total of 41 awards in the radio categories, including 24 medals at the 2018 New York Festivals for individual programmes on RTÉ Radio 1 and RTÉ lyric fm. 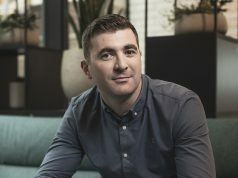 The awards include 8 for RTÉ Radio 1’s multi-award-winning documentary strand, Documentary on One; 7 for Drama on One; – including an award focusing on work by Mary Raferty on the Libyan Survival – Refugees Rescued from the Sea. In addition, an award for Best Talk/Interview Special went tor RTÉ Radio 1’s ‘Sunday with Miriam’ and the ‘The Kinsmill Massacre: A Survivor’s Story. RTÉ Radio 1’s Drama on One won 4 Gold Awards while Doc on One won 3 at this year’s festival. Drama on One on their Gold medals for the Best Writing, Best Performance by an Artist, Best Narration and Best Director. Doc on One’s winning categories consisted of Best for “Health/Medical, Human Relations and Biography/Profiles.